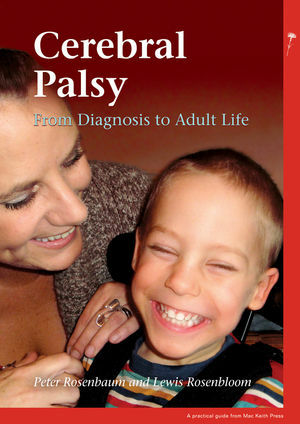 The book has been designed to provide readers with an understanding of cerebral palsy (CP) as a developmental as well as a neurological condition. It details the nature of CP, its causes and its clinical manifestations. Using clear, accessible language (supported by an extensive glossary) the authors have blended current science with metaphor both to explain the biomedical underpinnings of CP and to share their awareness that there is much that can be done to promote child and family development, enhance the capabilities of young people with CP, empower their families, and chart a course into adulthood. The authors have reviewed classification and have emphasised the wide range of functional impairments that are seen in both children and adults with cerebral palsy. In doing so they have used the ICF framework and have described the range of interventions that may be applicable to people with cerebral palsy whilst emphasising that the condition is lifelong and that promotion of adaptation is a key component to understanding its nature and effects. Essential reading for parents and carers of those with cerebral palsy, clinicians, paediatricians, neurologists, occupational therapists and physiotherapists. Professor Peter Rosenbaum, MD, FRCP(C); currently Professor of Paediatrics, McMaster University, Canada. Holds Research Chair in Childhood Disability, Mentoring and Dissemination. As a Developmental Paediatrician he has had a wide-ranging experience of childhood disability, with a particular interest in cerebral palsy. For the past 40 years he has been an active clinician, researcher, teacher, mentor, author and editor. In 1989 he co-founded CanChild Centre for Childhood Disability Research. He holds an honorary degree as Doctor of Science from Université Laval (2005). In 2000 he was recognized with the Canadian Paediatric Society's highest award, the Ross Award. Dr Lewis Rosenbloom, FRCP, Hon FRCPCH, Honorary Consultant Paediatric Neurologist, Liverpool UK. He is a paediatric neurologist with a special interest and expertise in paediatric neurodisability. In addition to having developed and co-ordinated a range of relevant clinical services for disabled children, his recent work and publications have been concerned with the causes of cerebral palsy and life expectation of children and adults with cerebral palsy.